In a Nutshell: The internet has changed a lot of things; you can order pizza with a computer, shop for shoes on a tablet, and stream TV to a phone. You can also take out a personal loan — or invest in one — without the hassle and anxiety of dealing with Big Bank by using peer-to-peer giant, Lending Club. Offering competitive interest rates as low as 6% to qualified borrowers, while providing historical annual returns between 5% and 7% for investors, Lending Club is a win-win, providing a platform to make a change in your life — or the life of someone in need. Many moons ago, when I was but a teenager, I had my heart set on a brand new computer. It was a top-of-the-line PC, boasting a full 256K of RAM and a giant 10 GB hard drive. Unfortunately, it would have taken me months to save up my chore-based income to purchase that sweet machine. So, what did I do? Well, I leveraged my personal credit history with every member of my immediate family to borrow the funds I needed. It took a lot of phone calls — and a number of heated negotiations — but I finally secured financing, and at a rate I could pay back on my do-the-dishes salary. Hence, peer-to-peer lending was born. Alright, so I didn’t actually invent peer-to-peer lending — especially not the modern online iteration. The first internet-based platform for connecting borrowers and investors was actually founded in the United Kingdom in 2005, and the first U.S. companies were right on their heels in 2006. One of those pioneers was Lending Club, who has been one of the top peer-to-peer lenders — also known as marketplace lenders — in the world for almost a decade. Their process is certainly effective. 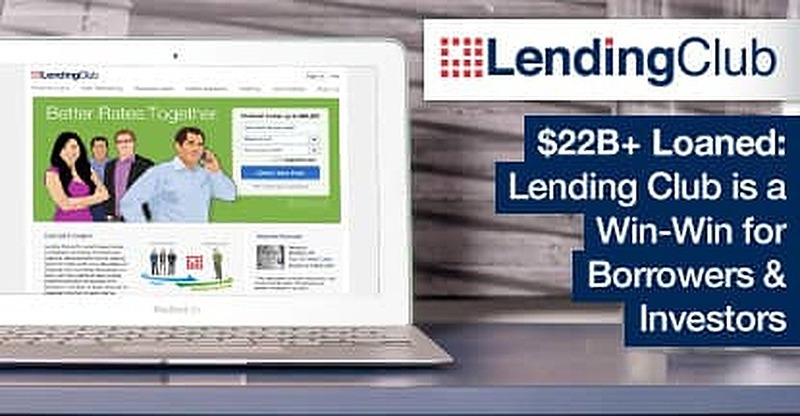 Lending Club has helped borrowers and investors make over $20 billion in loans to date, with competitive rates and solid investment returns making peer-to-peer a win-win for everyone. When it comes to getting a loan, whether it’s to refinance an auto loan or pay off your credit cards, dealing with the banks can be tough. That’s where peer-to-peer lending comes in. Lending Club helps creditworthy borrowers get access to credit without charging you an arm and a leg in interest or fees. “We offer very competitive interest rates with APRs as low as 6%,” said Avia. 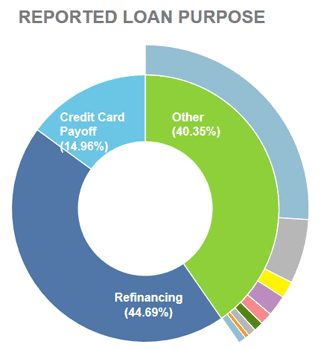 As of June 30, 2016, almost 60% of Lending Club borrowers reported using their loans to refinance existing loans or pay off their credit cards. With a wide network of investors providing the capital, Lending Club can help a broader range of borrowers across the credit spectrum than traditional financial institutions. Of course, as with anything else in finance, a higher credit score is always better. Applying for a loan through Lending Club is quick and easy, and can be completed entirely online through the Lending Club website. You’ll start by filling out an online survey covering the basics and get to your offers almost right away. A few more verification steps, and you can have $1,000-$40,000 in about seven days. In addition to traditional personal loans, borrowers can also apply for auto refinancing loans, business loans, and elective medical procedure financing. More than half of Lending Club borrowers are looking to pay off or refinance existing debt with a lower-interest Lending Club loan, but other users have financed home improvement projects, large purchases, relocation, and even vacations — items that can be challenging to get funding for through a bank. Each $25 purchases a Lending Club Note, which represents a small portion of an individual loan. As the borrower makes their monthly loan payments, investors receive monthly payments on their principal and interest, with amounts dependent on their rate of return, and minus the small 1% fee charged by Lending Club. Lending Club investors have seen an historical average of 5.2% to 8.02% return on investment. The rate of return investors receive is based on the Grade of the loan, which is determined by various factors such as the credit score and income of the borrower. 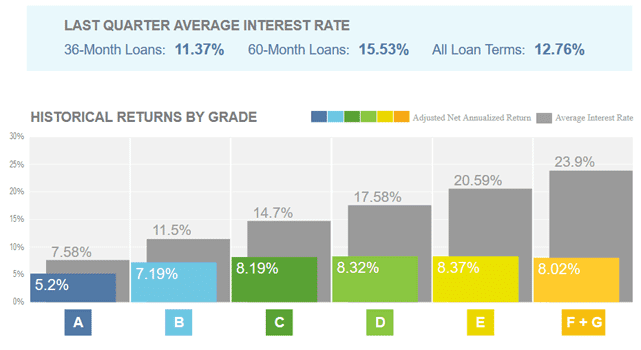 Loan Grades range from Grade A (lower-risk borrowers) to Grade G (higher-risk borrowers), with interest rates and return rates being lowest for Grade A borrowers and increasing with the risk of the loan. Just as with any type of investing, the riskiest loans can make — and lose — the most money. Inherent risks are a reality in any type of investing, even investing in loans through Lending Club — including the potential default of the borrowers and loss of your principal investment. Just like any type of investing, it’s important to have a diversified portfolio. If there’s one thing my childhood venture into “peer-to-peer lending” had in common with the real modern version, it’s that my investors got to help someone. Thousands of people are making their lives better with the funding provided by the investors at Lending Club, and Lending Club investors also get to reap the benefits of solid returns on their investments. That said, while I’m grateful to the family members who took the risk of loaning to a questionable candidate, I know I got the better part of the deal. I did pay everyone back — eventually — but, they certainly didn’t see any return on their investment. They definitely didn’t get the median 5.5% return seen by Lending Club investors. “We operate at a lower cost than traditional bank lending programs and pass the savings on to borrowers, in the form of lower rates, and to investors, in the form of solid returns.” Truly, win-win.